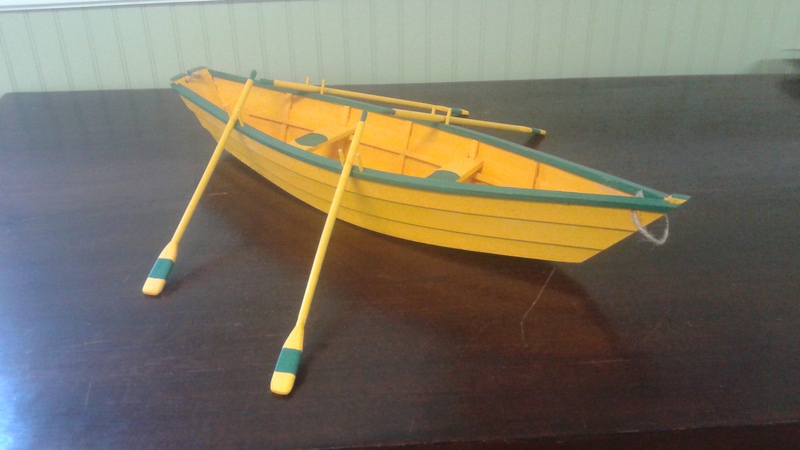 Not quite a replica of the dories we make here at the Dory Shop, a local folkartist made these delightful little boats based on the dory design. They are 22" long over all and have a 5 3/4" beam. Cost is $40 CAD plus tax and shipping.